For 3o years I made gemstone and gold jewelry which I love. Especially the gemstones but a few years ago my wife said why don't you make some jewelry based on your animal sculptures? 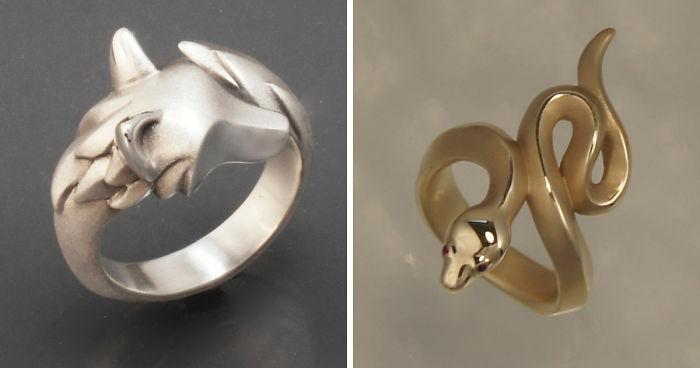 My first animal ring was a fox and that started my ETSY store. Now almost all my work is animals. So the moral of this story is... always listen to your wife! Hello. I would like to buy this ring. How much would it cost? Do you ship to Brussels? That link isn't working, it just reloads the page. Can you tell me what to search for and I'll look it up myself. Thanks!